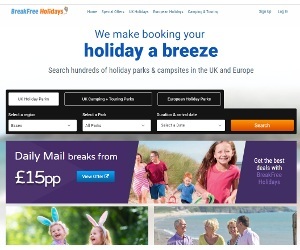 BreakFree holidays is a online travel agent that specialises in Caravan holidays in the UK and Europe. Breakfree holidays has thousands of breaks available at the click of a button. Looking for a caravan holiday in 2018? In the UK, France, Italy, Spain or even further afield then Breakfree holidays are for you. They a currently offering up to 25% off 2018 Holidays.